Please bring in a shopping bag filled with your favorite cereal. 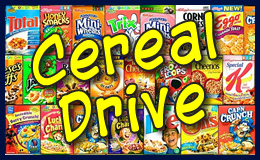 Religious school students bring your cereal to your Sunday or Tuesday classroom. The religious school class that collects the most cereal wins an ice cream party! For additional information contact Jane at (914) 967-4382 x 21.